Ming xi fell down on the victoria's secret runway, still elegant! now has become china's ambassador wei mi! Ming Xi Fall down on the Victoria's secret runway and still look classy! Now has become China's ambassador wei mi! Recently, media reports, Victoria's secret official micro blog posted a message, said Sui He Ming Xi is officially the brand ambassador of Victoria's secret greater China and will be featured as the new "Victoria's secret China angel" in the 2018 Victoria's secret show. Opinions vary. Ming Xi also retweeted Victoria's official micro blog and said that he was very grateful for the trust of Victoria's secret authorities. He accepted all the voices humbly. Thank you for your relationship. Previously, the 2018 Victoria's secret show list came to light.Sui Heand Chen yu passed the interview successfully, whileMing Xiwas invited to the show without examination. The news caused an uproar on the Internet. A blessing in disguise is a blessing in disguise. The reaction was so shocked becauseMing Xibecame famous after his big show in Shanghai last year. In 2017, the Victoria's secret fashion show was held in Shanghai. At that time, 55 Victoria's secret supermodels made a grand debut. Of the 55 models, six are international models Liu Wen , Sui He, Ming Xi, Xiao Wen Ju , benny , Yi Wang, And chinese-american model Chen yu, together with the stage yan! However, Chinese supermodelMing Xistumbled onto the stage during the performance.Ming Xifell down, instant on the hot search, the media has reported. Of course, all kinds of outside voices are coming.Ming Xiwas previously asked on "please the wardrobe" what happens when Victoria's secret falls down. She said bluntly that she had never fallen and would retire. The accident was a slap in the face. However, Ming Xi's graceful, calm and professional performance after his fall won a lot of praise from the media, which is the true accomplishment of supermodels. According to vogue, even a fall on the Victoria's secret show can win beauty. ELLE magazine:Ming Xistumbles on the Victoria's secret show, stands up and ACTS like an angel. Ming Xi tweeted: "sorry for disappointing everyone. Thanks for everyone's concern. I have been a model for 7 years. But I knew that no matter how painful the fall was, I would have to get up and finish the walk... The road ahead is long, and I will keep walking... Thank you. AfterMing Xifell to fame, his career was really smooth. She was a successful actress and presenter. For example, "jetlag", "women talk", "king's strike" and so on are widely acclaimed, there are also many netizens, lu zhuan fan. 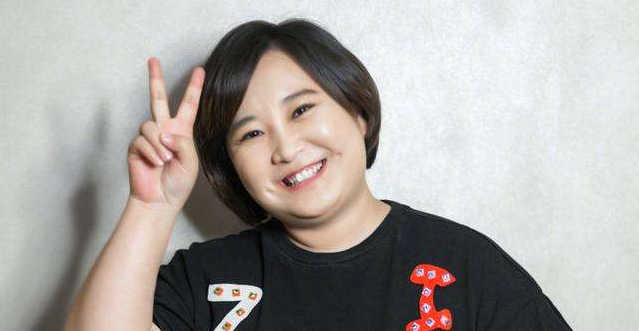 She paired off with Lawrence ho on love's variety show, love's time difference, and the group of CPS together was also the most anticipated and vocal audience. According to media reports, the two of them were photographed traveling together at the airport. Are they actually dating? But neither of the two parties responded, and it is unclear if the relationship is real. Ming Xi fell down on the Victoria's secret runway with grace and is now invited to become the ambassador of China's Victoria's secret. She deserves the support of netizens. But some netizens joked: "why can a person who made a mistake get out of the test" and "quit without wrestling? Make jokes, "retweet this Ming Xi, raise and promotion"
Now, in the face of another netizen joke, he retweeted this Ming Xi.Ming Xipublished a generous message saying, I believe this is a good-natured joke. November 21,2017 05:01 PM Ming Xi catwalk fall Wang Sicong stood watching the show 2017 Weimei China's first show chaos into a pot of porridge! November 04,2017 01:41 PM Ming Xi transparent dress almost go astray, users: What is the difference between wearing and not! September 14,2018 04:51 PM Ming xi fell down on the victoria&apos;s secret runway, still elegant! now has become china&apos;s ambassador wei mi!